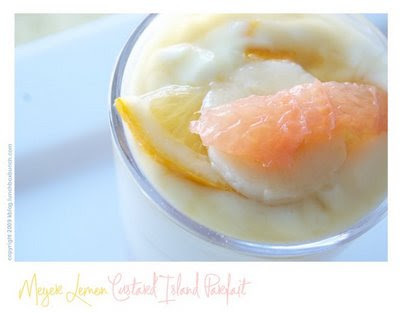 This is for everyone who a) loves lemon desserts (especially Meyer lemon desserts), and b) is in need of a little sunshine spirit available by the spoonful. Super easy recipe coming at you. The vegan 'custard' is made with only two main ingredients and takes about 30 seconds to 'make'. You won't believe how delicious and elegant this parfait turns out. You can have it chilling in your fridge in ten minutes time. And as I always try, it's super healthy. Pour yogurt into small mixing cup. Add Veganaise. Stir briskly with a spoon until smooth and creamy. Add lemon 1 tsp. zest to mixture. Add juice from 1/2 of lemon. Stir briskly again until creamy. 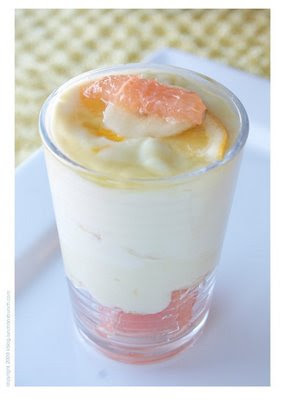 Add grapefruit chunks to parfait glass, layer should cover bottom. 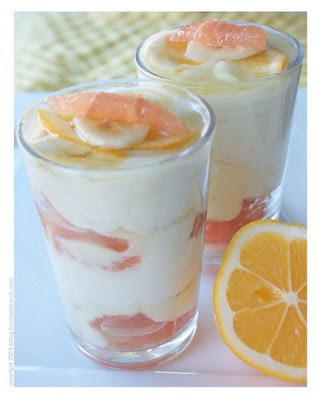 Add banana slices, layer should cover grapefruit. Drizzle a hint of honey. Sprinkle a very small pinch of salt on fruit. Add a few spoonfuls of 'custard' mixture. 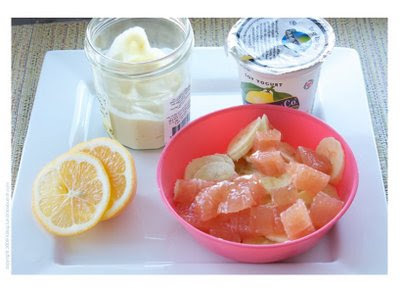 Add another layer of grapefruit and banana. Add more spoonfuls of custard, until glass is filled to the brim. Drizzle 1 tsp of honey on top. Allow it to melt down inner side of glass. Refrigerate for at least ten minutes to allow fruit to chill with custard.